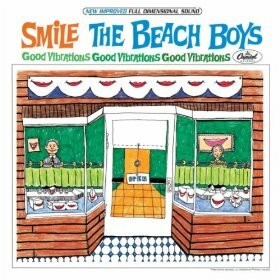 The most famous, unreleased album in rock history, The Beach Boys’ Smile, has finally been released and in addition to being a source of wonderful and well-crafted songs like “Good Vibrations,” “Surf’s Up,” and “Heroes and Villains,” the five-disk edition of The Smile Sessions also contains a wealth of material that helps you understand the musical genius involved in the creation of the band’s groundbreaking work. To be fair, Brian Wilson did put out a newly recorded version of the album a few years back, but there is a special magic in hearing the mythical Beach Boys 1966-1967 version finally completed. There are a few sublime treasures in the album itself such as the beautiful song “Wonderful,” the astonishing solo version of “Surf’s Up,” the angelic opening to the album “Our Prayer,” and of course the classic “Good Vibrations” and “Heroes and Villains” complete with a wealth of sessions from the songs. The sessions give a great deal of insight into the music with Brian Wilson directing the musicians and sometimes learning as he was going but it also shows his professionalism and dedication to the tedious process as opposed to the out-of-control lore, which has been told of over the years. If you’re a real Beach Boys fan or a true music aficionado, this is certainly a must-have release. It’s amazing that the album was this close to being finished and never released over the years. Even if you’re not a die-hard, the album is well worth a listen if for nothing else than for the reason that it inspired a host of musicians ranging from contemporaries such as The Beatles to modern masters such as Animal Collective.